It’s labelled as a developing country, but it’s more like they developed something beautiful and then changed their minds about it. If you squint you can see the city’s heyday. Stunning Art Deco shapes on every wall, Arabic text etched into intricate archways and ornate entrances… but it’s all filthy, or broken. It’s quite sad to see a city which obviously gleamed in the past, so destroyed now. Depending on your energy levels you might want to check out the medina before or after the mosque, it’s a little of an assault on the senses and the patience! 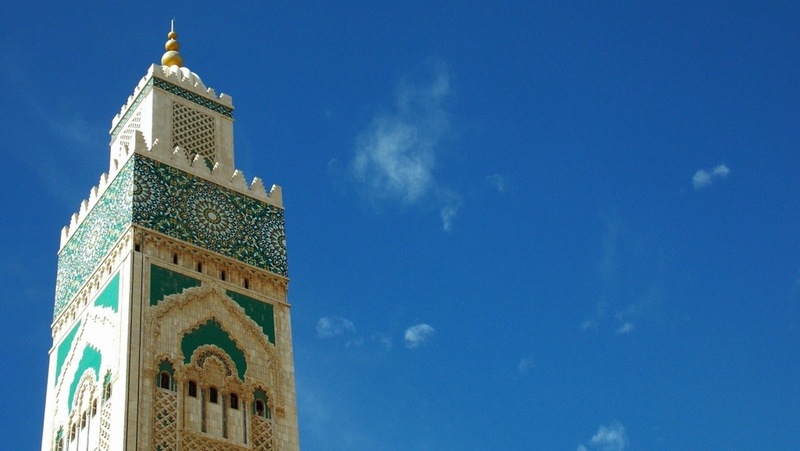 If you are traveling to other cities in Morocco and can hold out, you may want to do that too. The medina in Casablanca was one of the dirtiest, least interesting and friendly I encountered. Particularly if you get a rainy day, it also turns into a very slippery mud bath as it isn’t paved! Ricks was a lovely way to finish off a hectic couple of days in Casablanca and my introduction to Morocco. Next stop, Rabat!